Car owners know fully well that winter can bring about a whole host of problems. There are a literally dozens of things that can go wrong with a car during winter, from stalled engines to hazardous performance on the road, and more. Although not quite as dangerous as other problems, having a car door lock freeze on you certainly ranks on the list as one of the more annoying occurrences. In the event they are already frozen, there are a number of proven remedies for that as well. Not everyone realizes it, but winter is a high-risk period for fires in the home. When temperatures dip, the prospect of heating up the interior of a home or setting a warm and inviting mood with candles or an open fire is pretty tempting. But these measures are precisely what causes the increase of home fires during the winter. Add to that the more frequent cooking and the general atmosphere of distraction during the holidays, and you can see how winter could be an especially dangerous time as far as house fires are concerned. 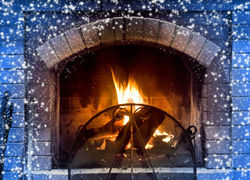 The good news that fires in the home are preventable, even during the winter. Here are some tips on how you can keep your home fire-safe in the colder months. 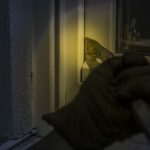 Home Security Checklist: How Secure Is Your Home?